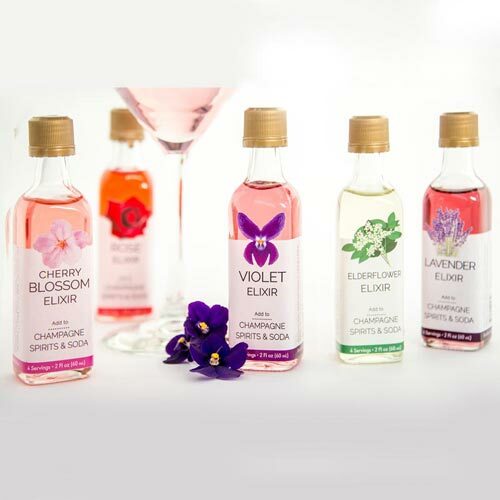 Made from real flowers with a touch of pure cane sugar, these elixirs add floral flavors and aromas to champagne, spirits, sparkling waters, lemonade and teas. Handcrafted in small batches, they have vibrant flavors and natural botanical colors. They're perfect for entertaining guests in the garden or on the patio on summer afternoons and evenings. Or, add elixirs to champagne for special celebrations. 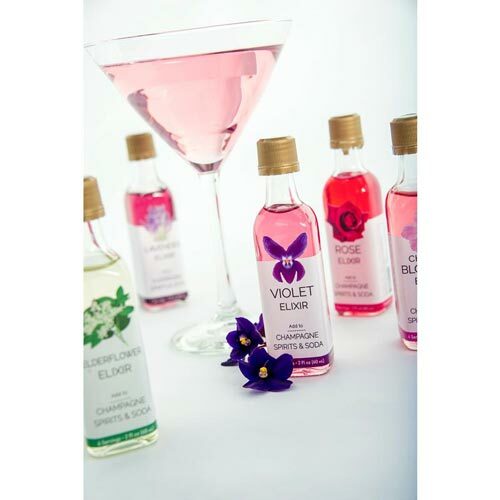 Our five-bottle Floral Cocktail Kit enhances 20 beverages and includes 2-ounce bottles of Rose, Cherry Blossom, Lavender, Violet and Elderberry. 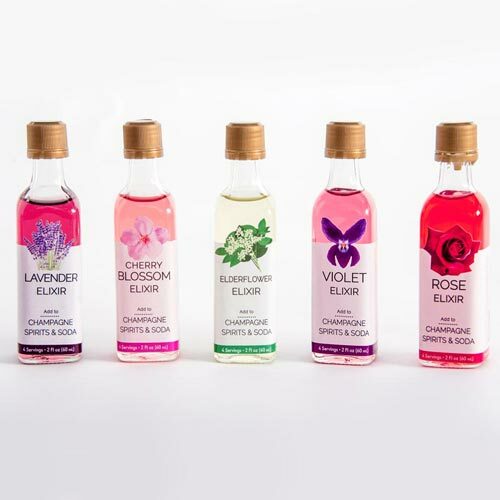 Elixirs make ideal gifts for foodies, gourmets and other gardeners. Handcrafted in the USA.